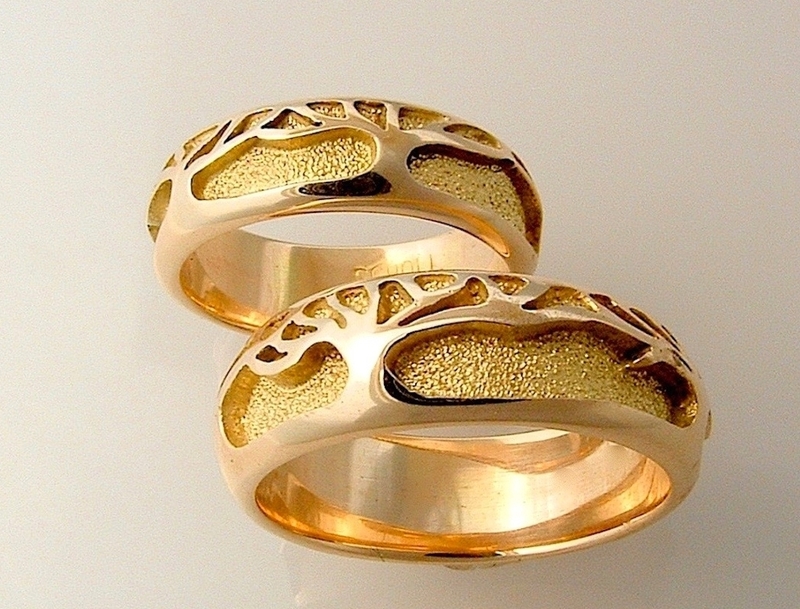 Most rings can be make in any color or karat gold. 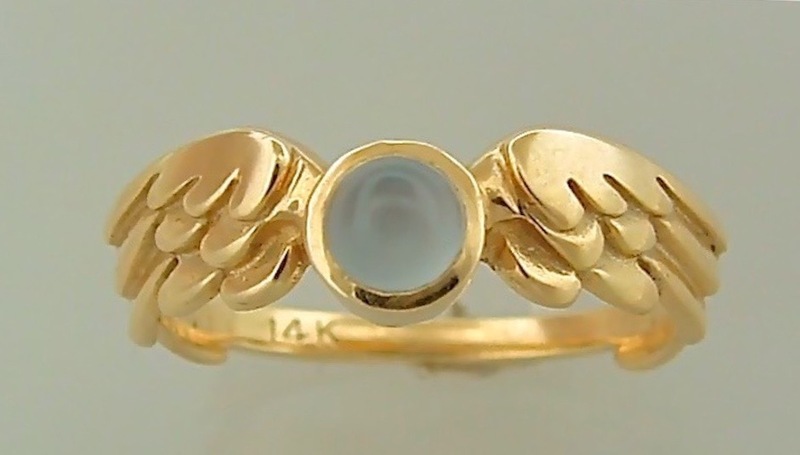 14k or 18k yellow, white or red. 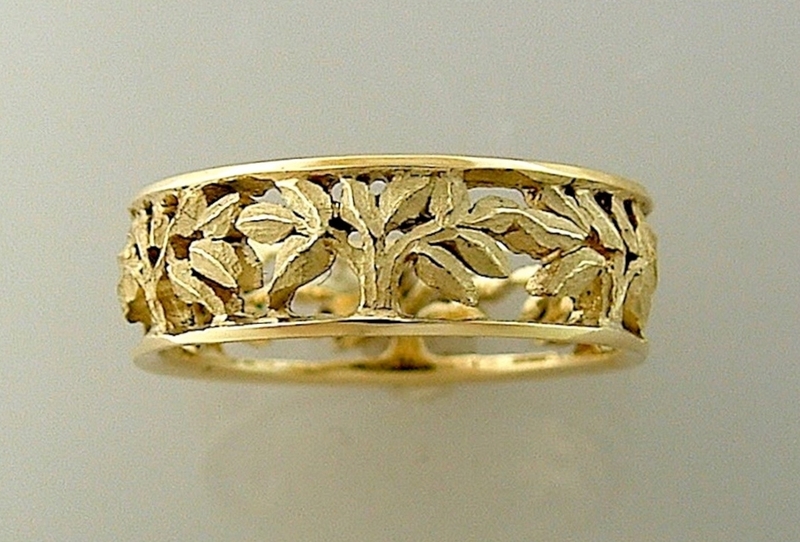 I can use nickel free white gold or non oxidizing sterling, as well as platinum. The gold I use is recycled. A variety of finishes are possible: polished, brushed or textured. 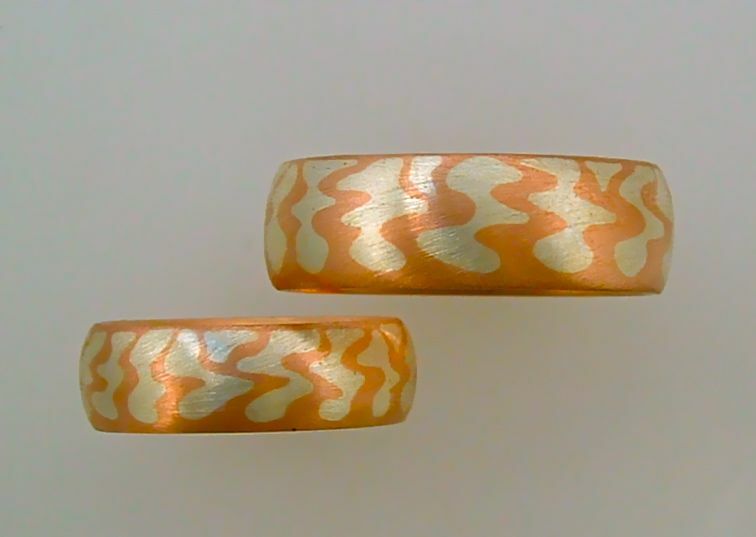 Some rings can have the background areas sawn out. Accurate sizing is important. 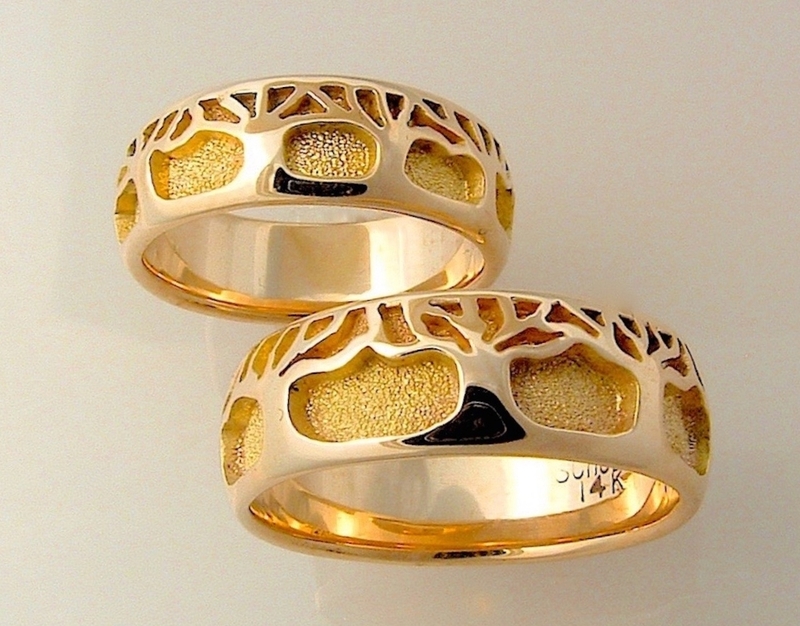 The best way is to go to a good jeweler and have them size you with a wide ring sizer. The sizer should fit over the knuckle snugly and once down on your finger rotate with a slight drag. Have the jeweler call me if there are any questions. Any hard stone can be put in the branches. Diamond, ruby or sapphire will stand up to the wear. I use 1 pt., 2pt. or 3 pt. stones. You can use any number you like. 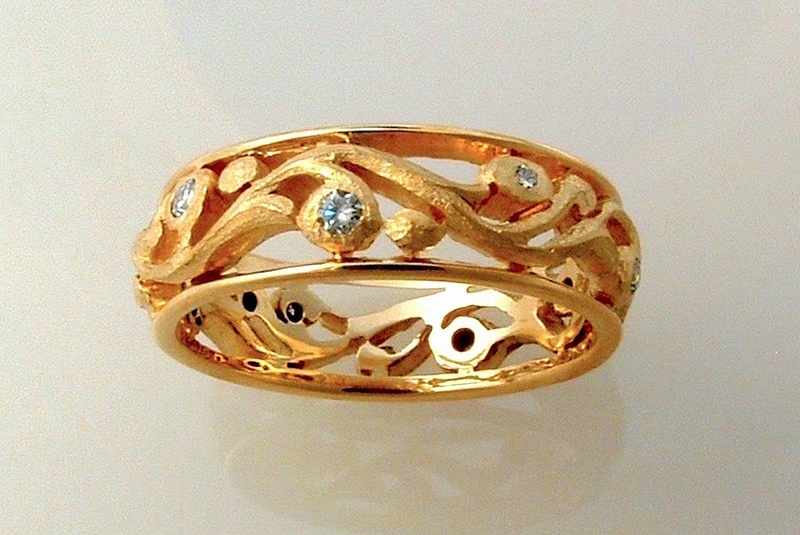 If you put 9 stones in a ring you can always see three stones wherever the ring is rotated on your finger. The stones I use are conflict free. Shipping includes postage cost, plus $5 handling. I really like making these rings. I like creating a symbol and being part of a sacred ritual. I make each one by hand. Thank you for taking the time to look at my work. 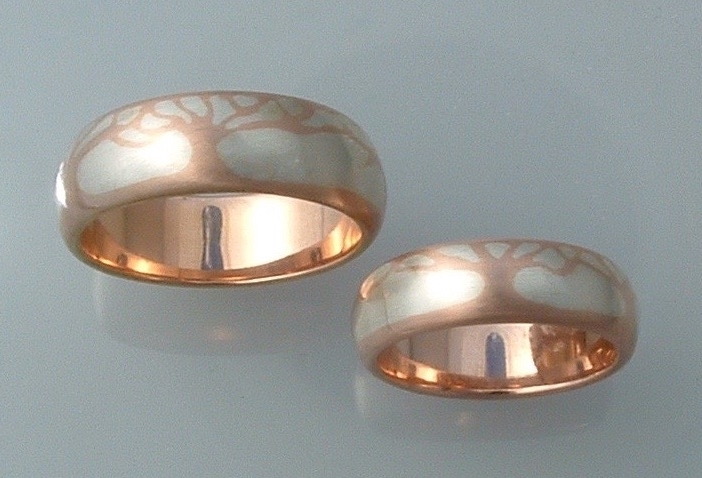 #R248 narrow band 6.25mm wide, with 5 trees. 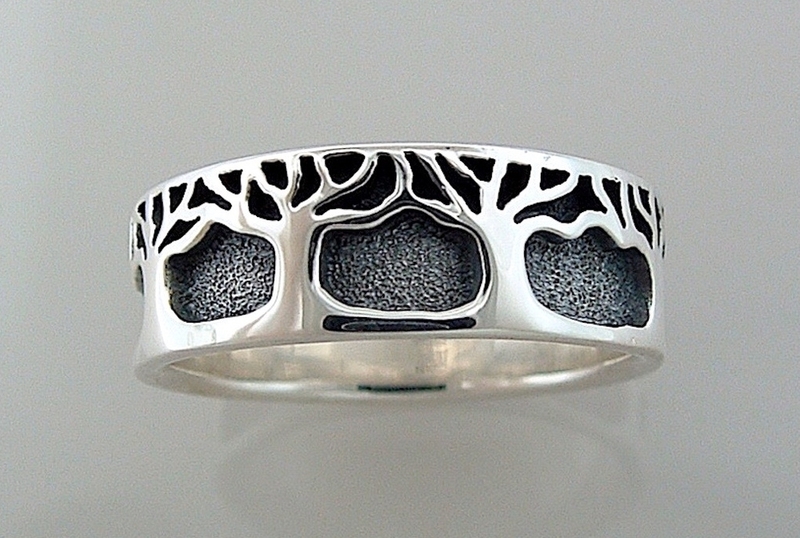 10mm band (one width only), shown in 14k white gold. 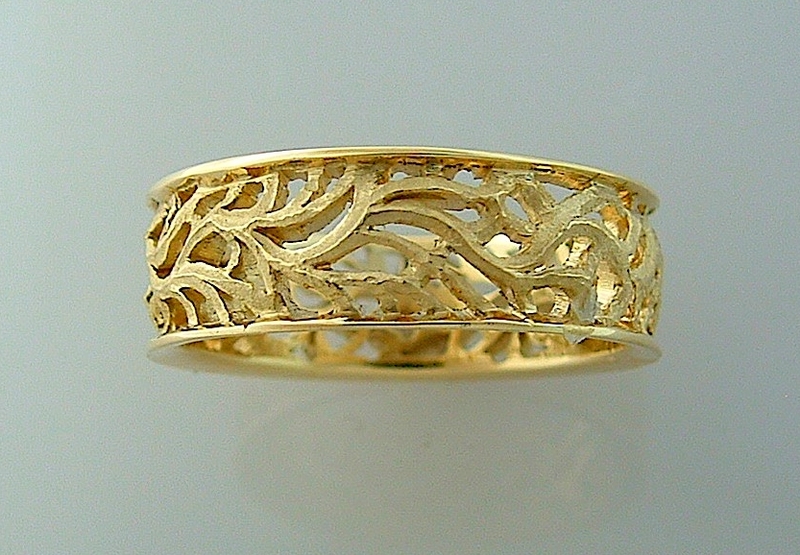 #R252 narrow vine ring, 7mm, pierced and textured. Pictured with 4, 3pt. diamonds.